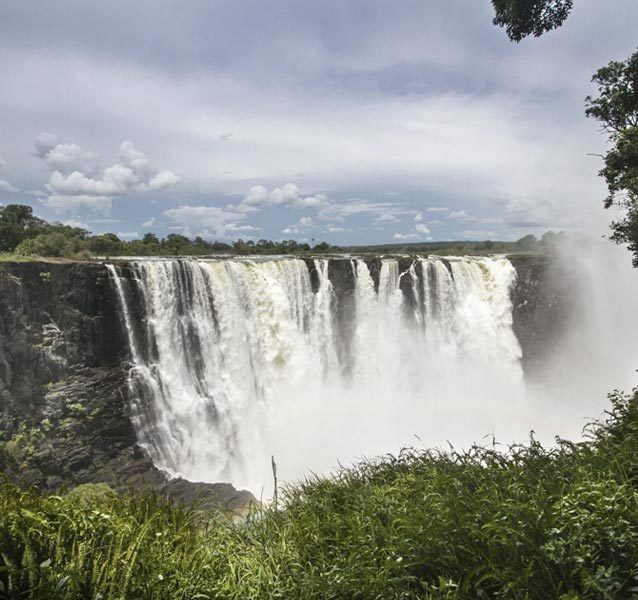 From the crystal-clear waters of the Okavango Delta to the large elephant herds in the Chobe National Park and the unpredictable Savute Channel, which runs dry and floods seemingly at random – Botswana is blessed with some of Africa’s most beautiful reserves and an array of exceptional wildlife. 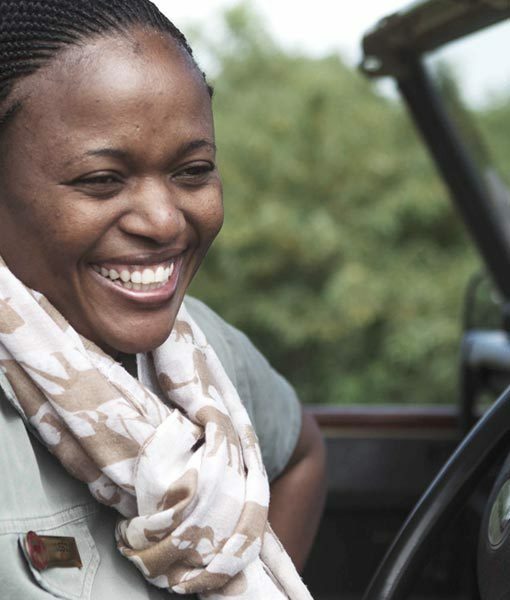 At the forefront of Ecotourism in Africa, Botswana has sanctioned the Botswana Ecotourism Certification System. 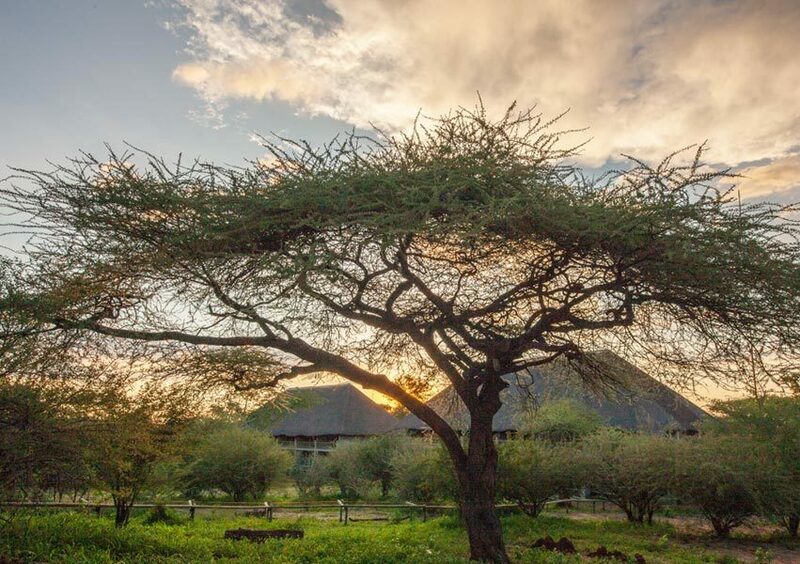 the system is designed to encourage and support responsible environmental, social and cultural practices by tourism businesses and make sure they provide a quality eco-friendly product to consumers. 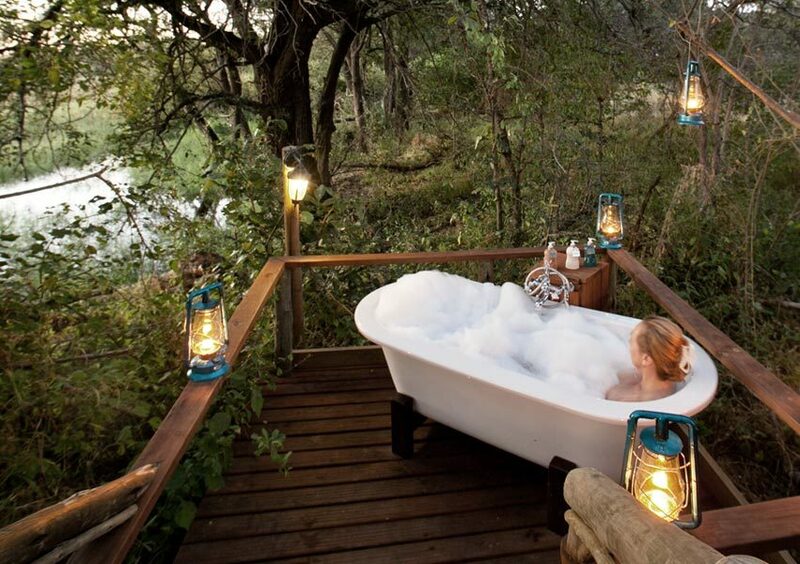 The Okavango Delta is a maze of sparkling lagoons, meandering channels and overgrown islands teeming with wildlife. 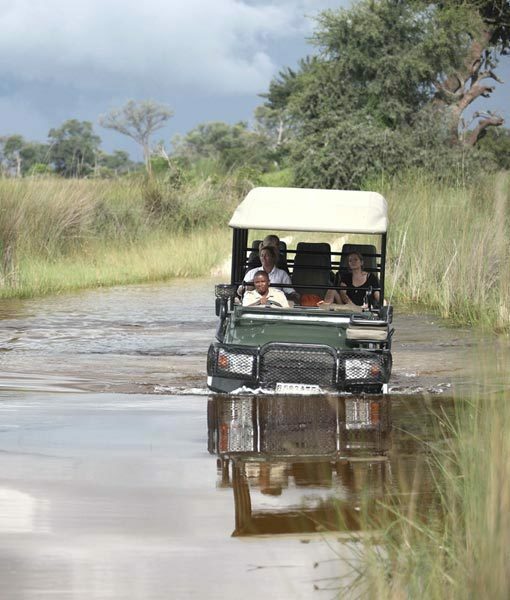 Explore the Okavango Delta by mokoro, on foot or on a game drive. 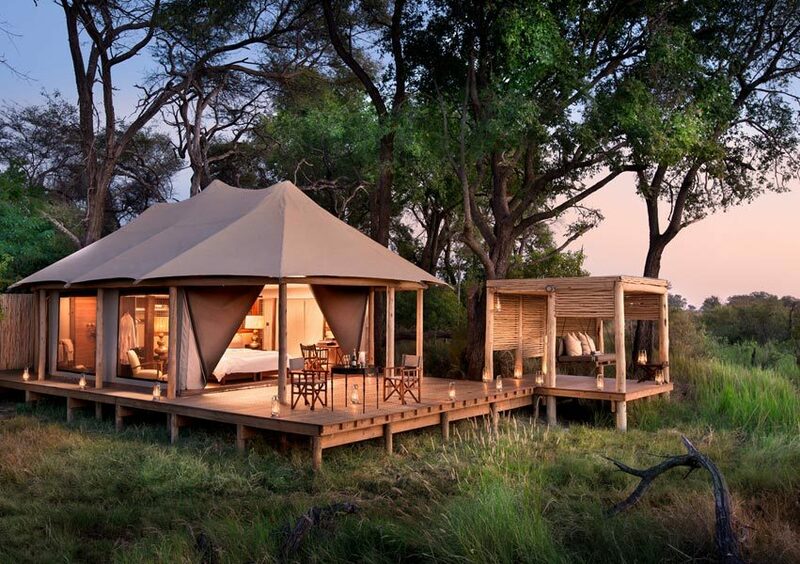 The Okavango Delta is a perfect Ecotourism safari destination. 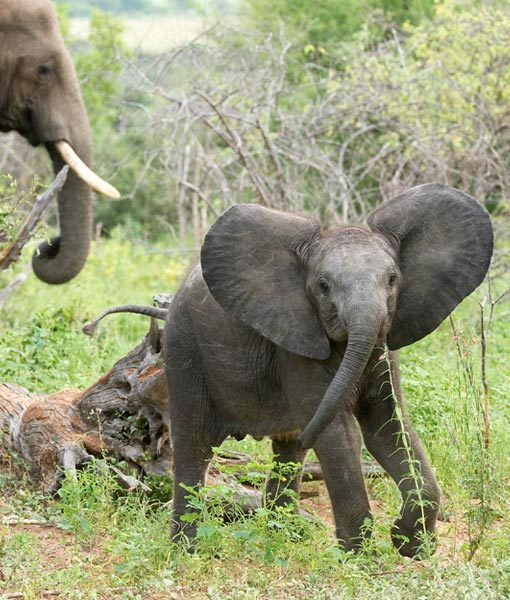 Among the great game reserves of the world, Chobe National Park is home to one of the largest concentrations of elephant on the African continent. 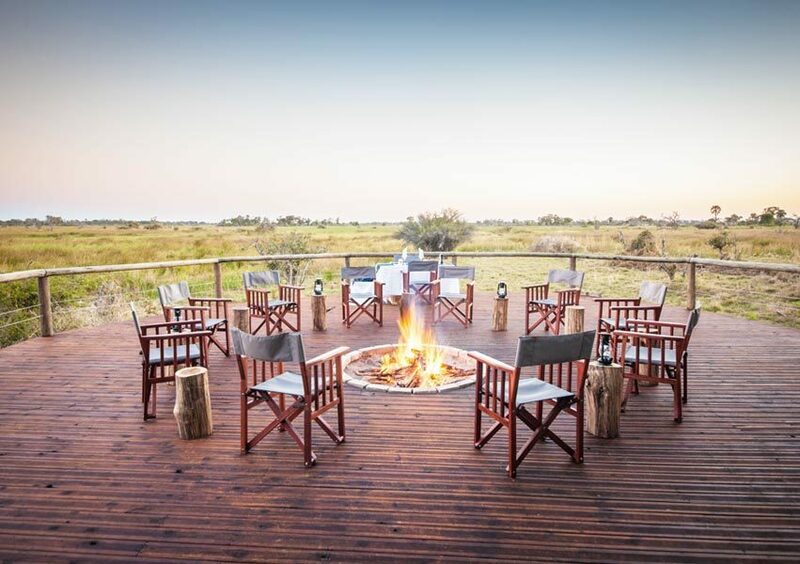 Surrounded by wildlife management areas and reserves that allow game to roam freely, the 11 700km² (4 500 square mile) reserve is located in the far north of Botswana, bordering on the Chobe River. 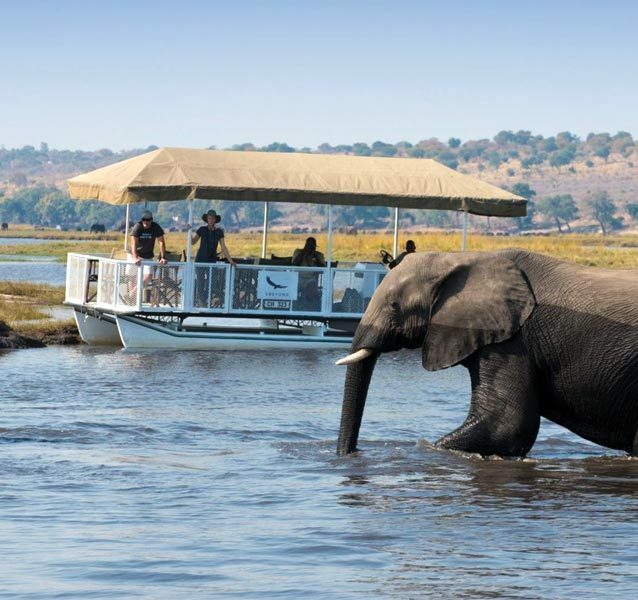 Chobe is particularly well known for its large herds of elephant and buffalo, as well as the two antelope that cannot be encountered anywhere else in Botswana, the puku and Chobe bushbuck. 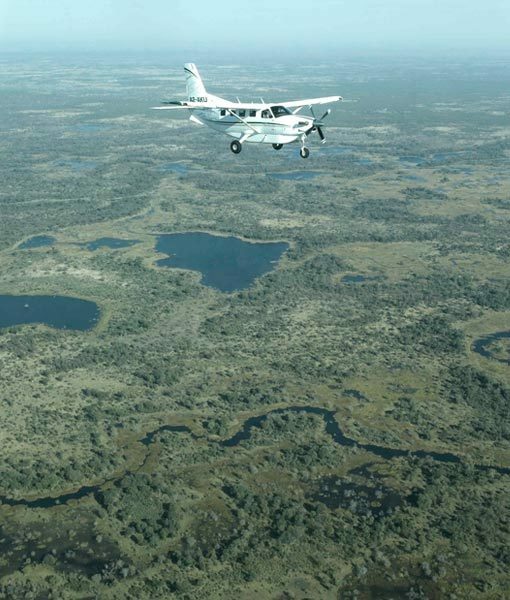 The Okavango Delta. 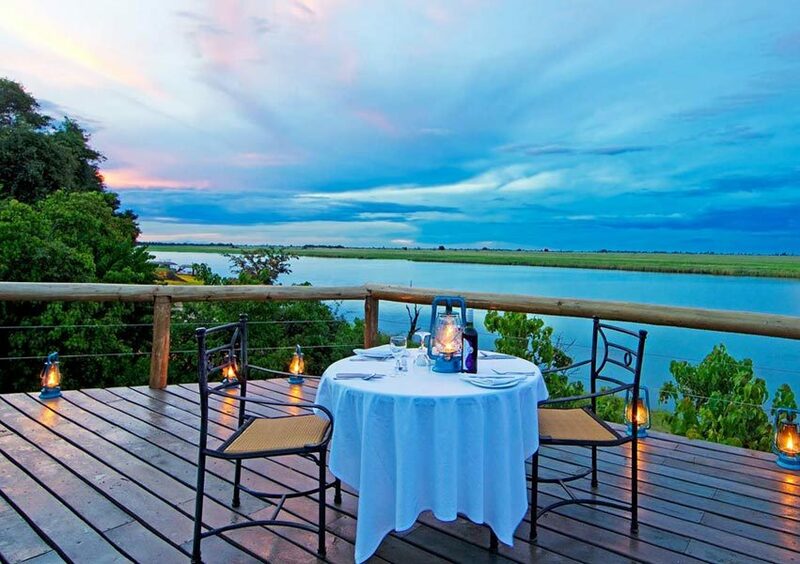 A maze of sparkling lagoons, meandering channels and overgrown islands teeming with wildlife. 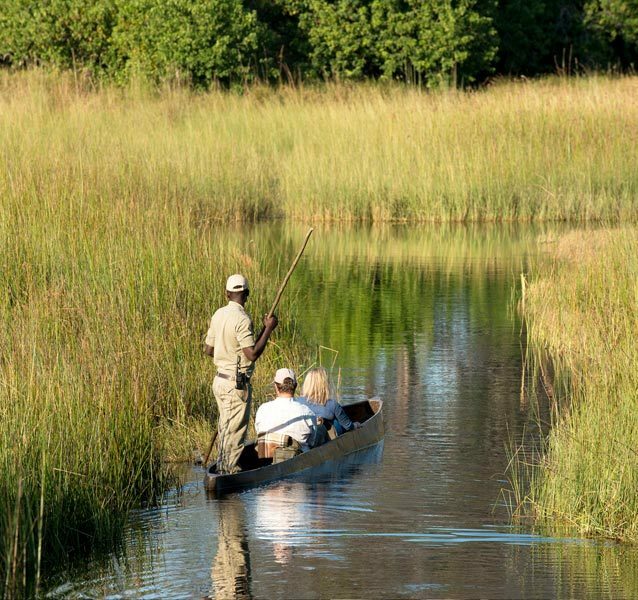 Explore the Okavango Delta with us. 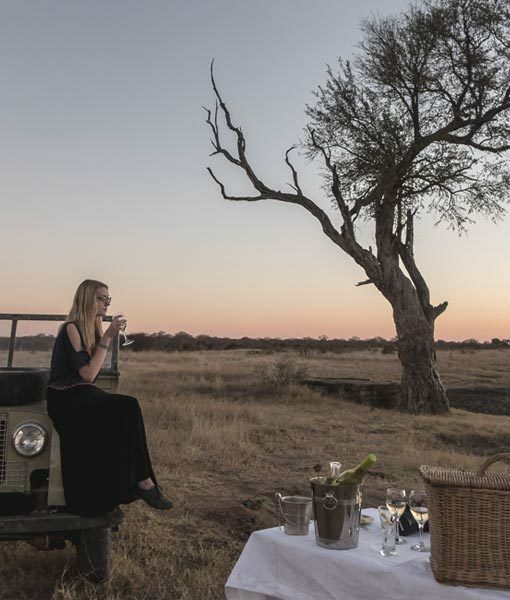 Spend 6 nights on safari exploring the Okavango Delta region in Botswana with this Eco-friendly Safari Package. 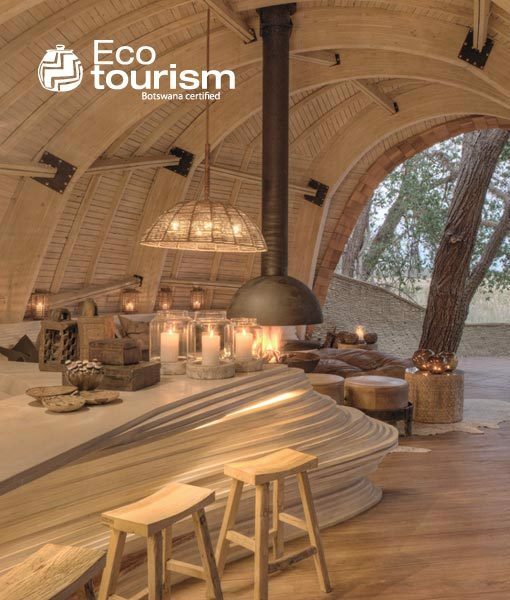 Book Ecotourism with Conscious Traveller. 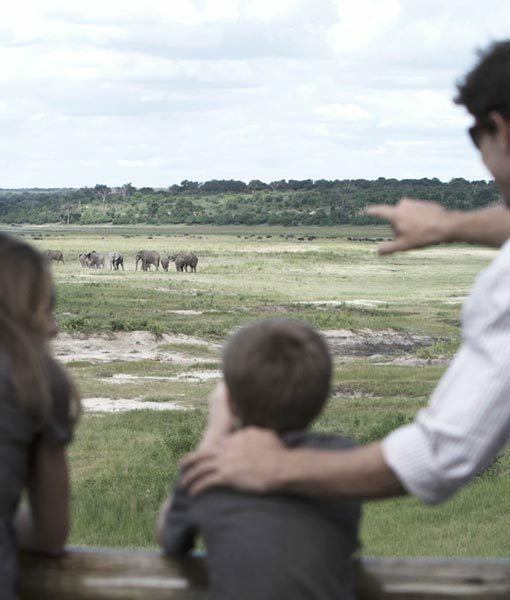 Spend 4 nights on safari in Botswana with this Eco-friendly Okavango Delta & Moremi Safari Package. 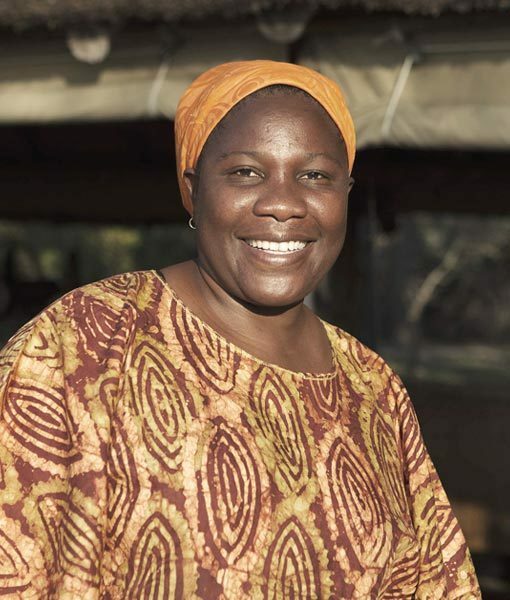 Book with Conscious Traveller and support Ecotourism. 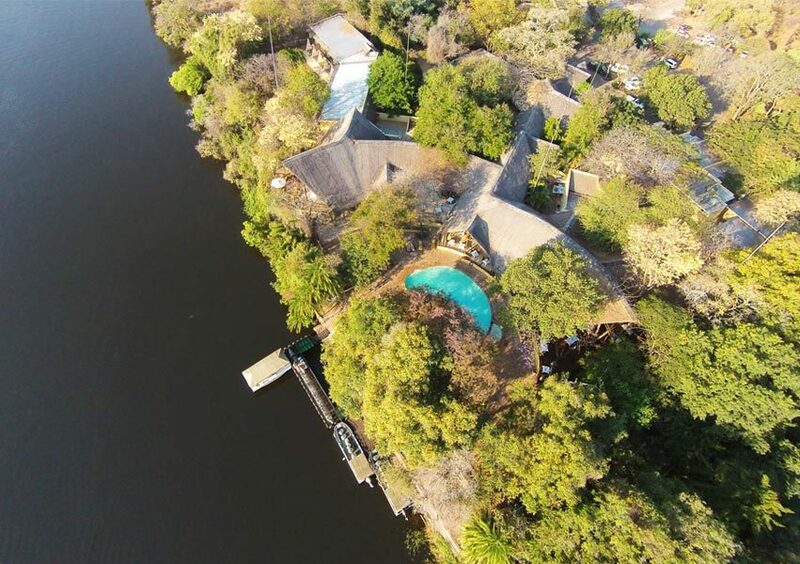 Mma Dinare Camp is an eco-friendly camp located in a private concession, adjacent to Moremi Game reserve on the south-eastern side of the Okavango Delta. 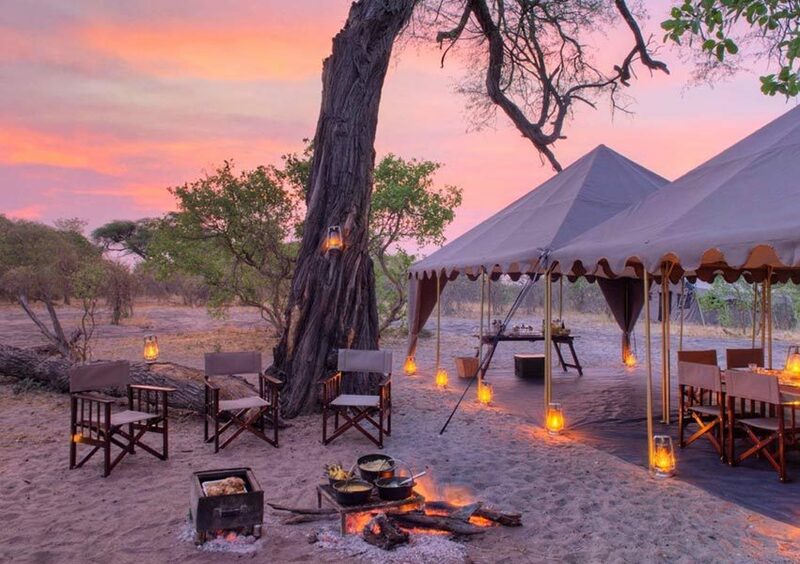 Rra Dinare Camp is an eco-friendly camp located in a private concession, adjacent to Moremi Game reserve on the south-eastern side of the Okavango Delta. 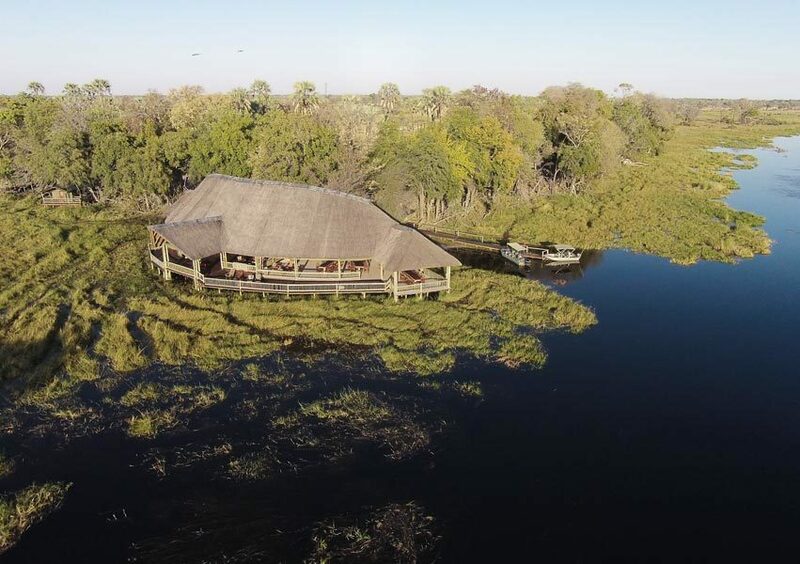 Moremi Crossing is an eco-friendly camp built on a palm fringed island surrounded by the Moremi’s game-rich seasonal floodplains. 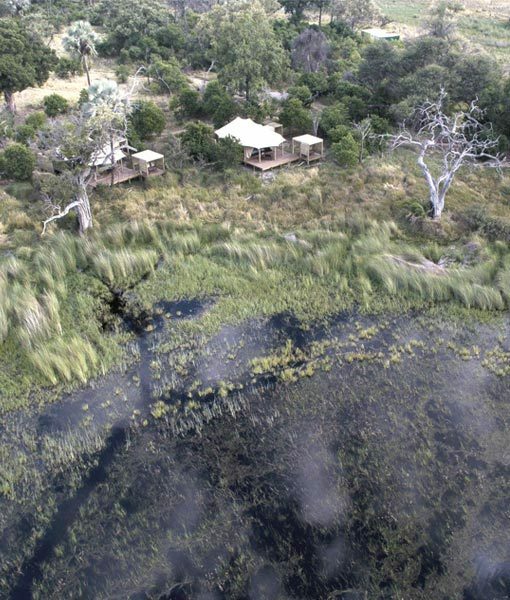 Pom Pom Camp is an eco-friendly camp located on Pom Pom Island in a private concession in the heart of the Okavango Delta. 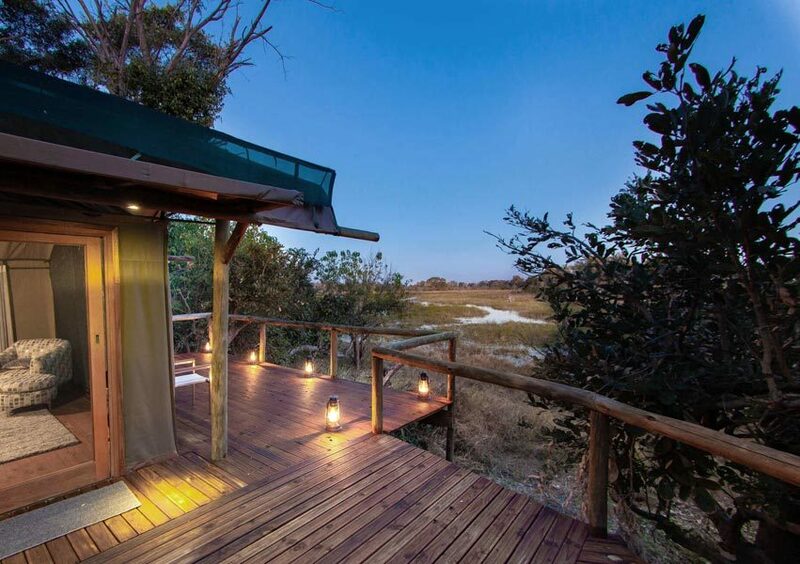 Gunn’s Camp is an eco-friendly camp in the Okavango Delta that borders the Moremi Game Reserve. 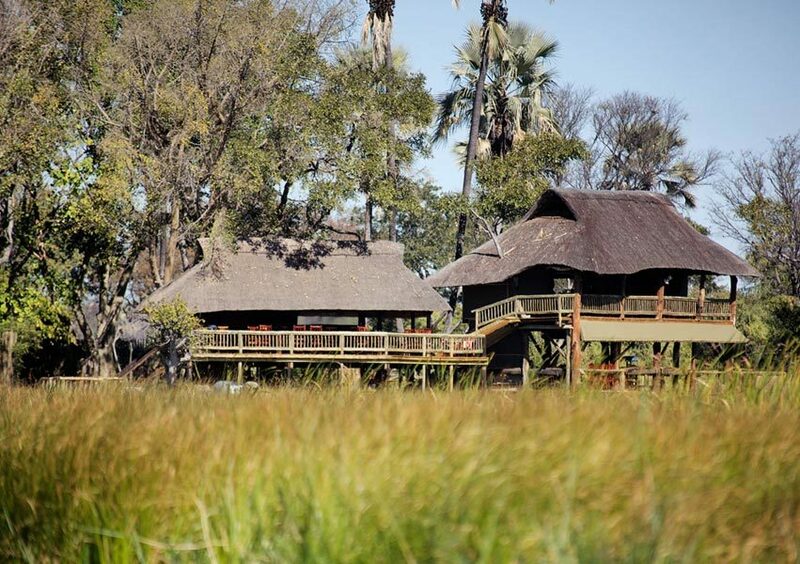 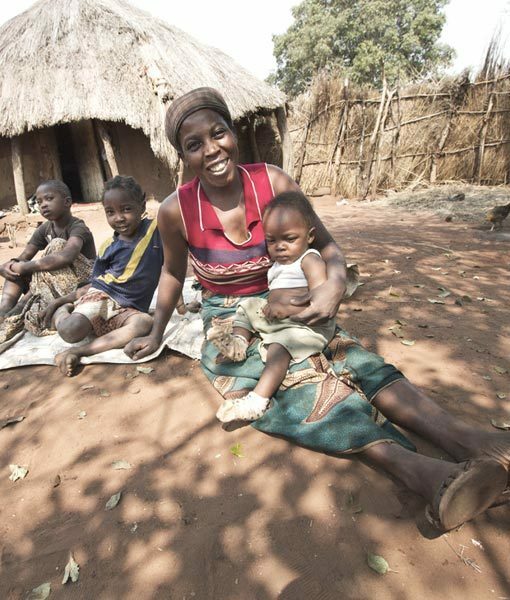 Visit Gunn’s Camp for an eco-friendly Okavango experience. 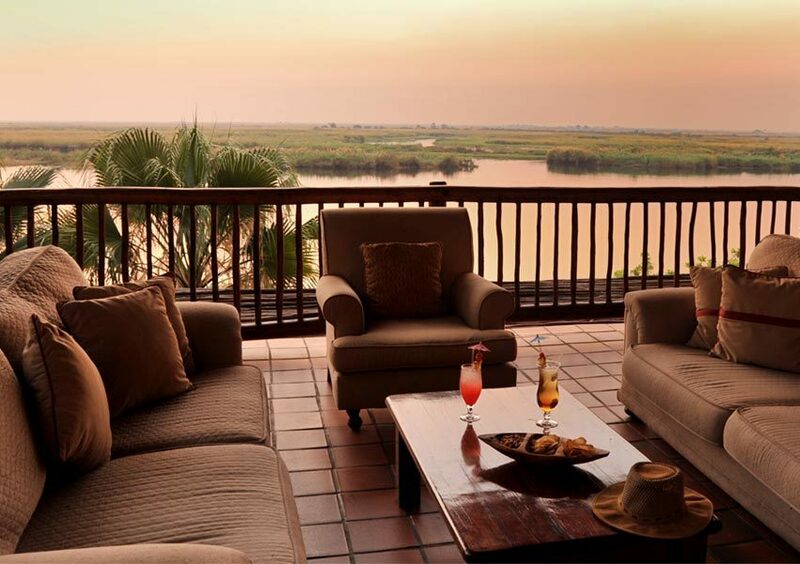 Experience freedom and exhilaration at Xudum Okavango Delta Lodge, with its unique rooftop hideouts in each of nine private African safari suites. 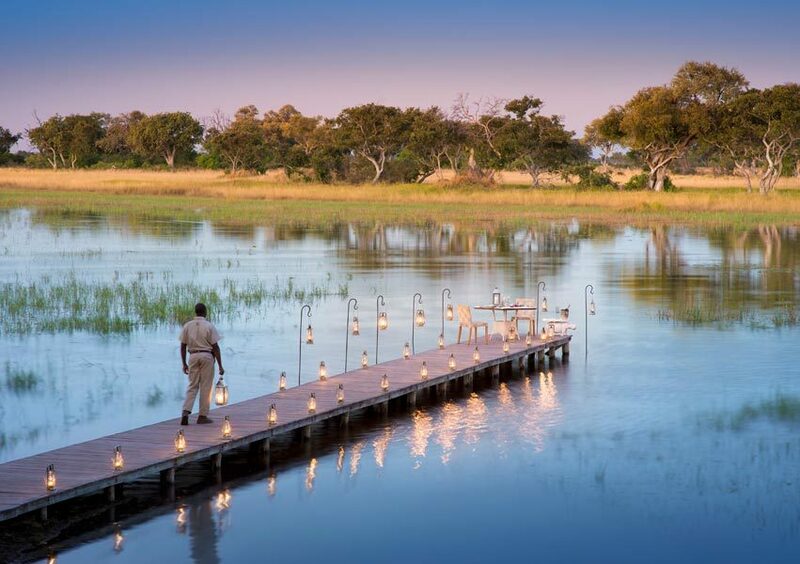 Like the water lily from which it takes its inspiration, Xaranna Okavango Delta Camp nestles deep in the heart of the game-rich Okavango Delta. 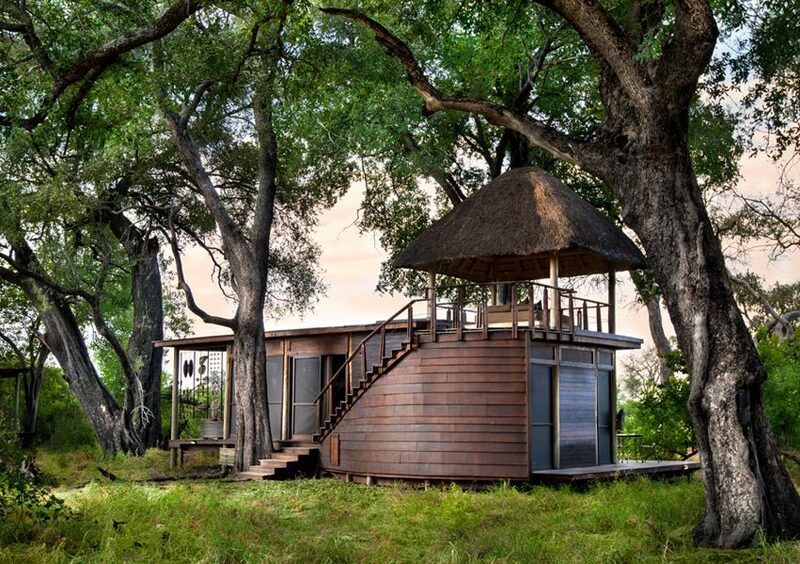 Nxabega Okavango Tented Camp. 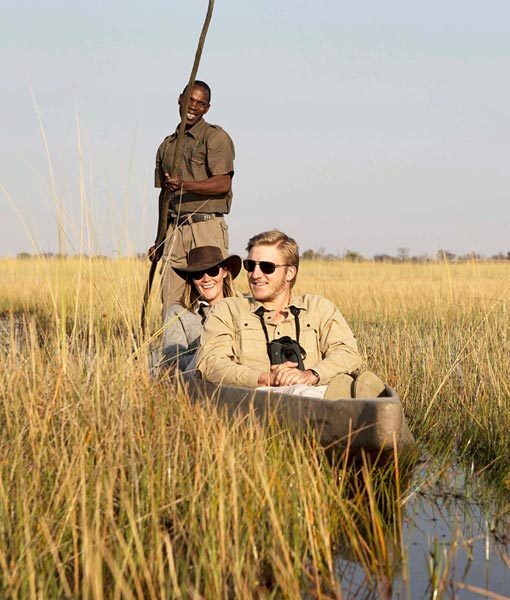 Experience a water and wildlife adventure between the lagoons and channels of the Delta and the Okavango floodplains. 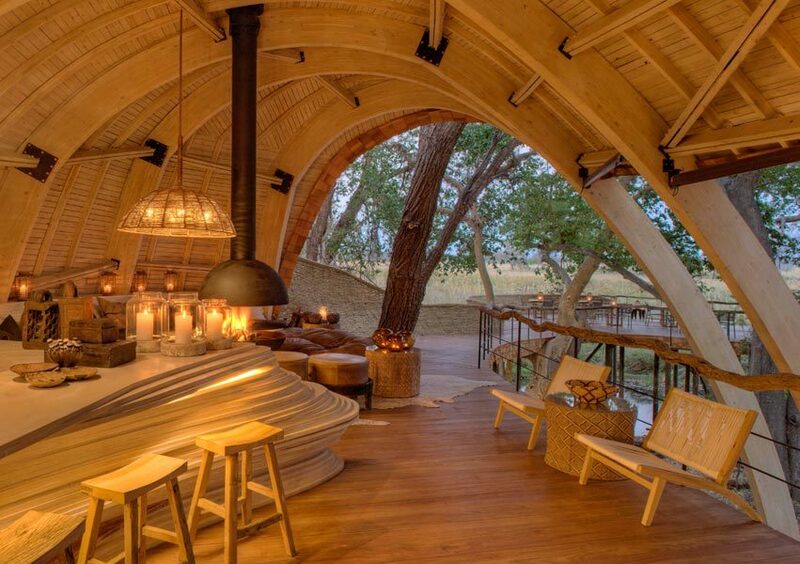 Sandibe Okavango Safari Lodge is inspired by nature its stunning setting. 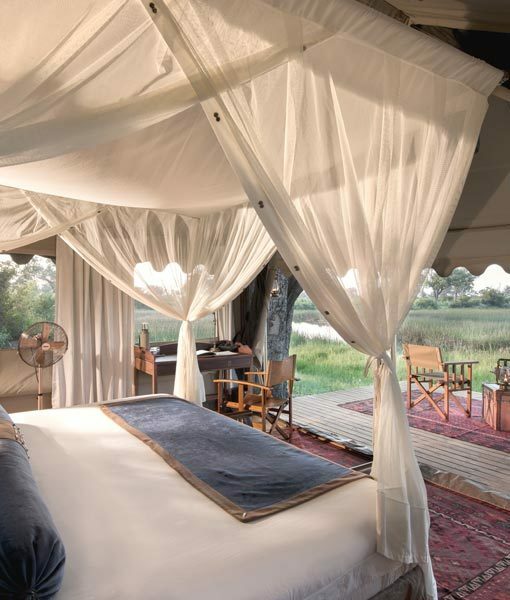 Featuring the best the Okavango Delta offers from design, wildlife & hospitality. 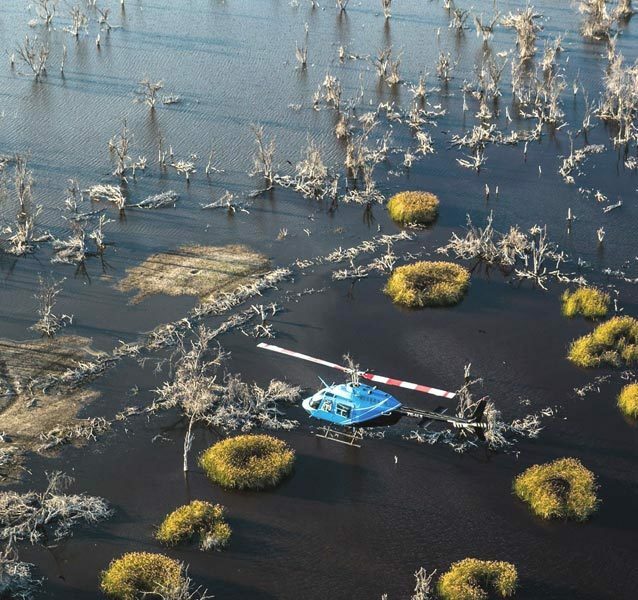 Scenic helicopter flights over the Okavango Delta’s patchwork landscape of islands, plains and lagoons perfectly illustrate its raw and spectacular beauty. 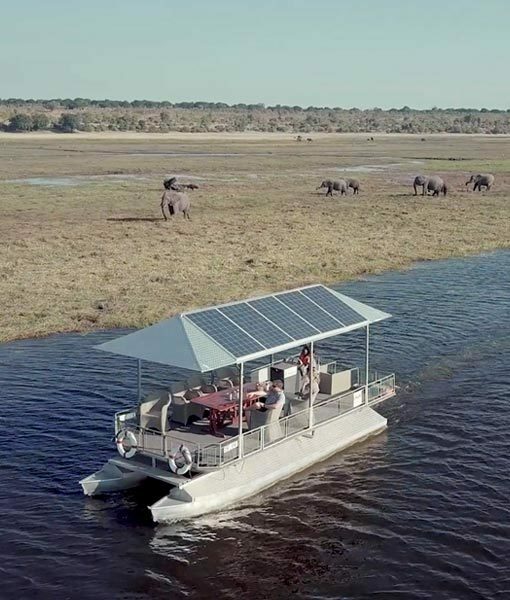 Explore the Okavango Delta’s intricate network of winding channels and glassy lagoons on an Okavango Delta boat cruise safari. 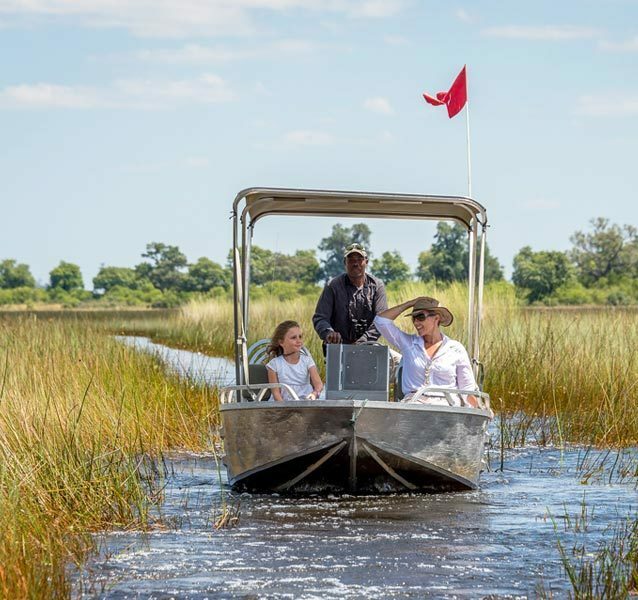 Glide through a maze of clear channels & opaque lagoons on traditionally made mokoro boats, once carved out of ancient Delta trees. 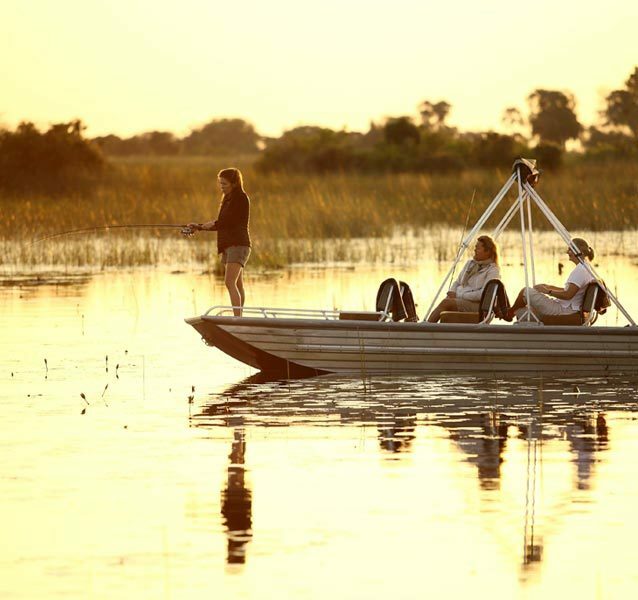 Catch and release in serene aquatic surroundings on an Okavango Delta fishing safari. 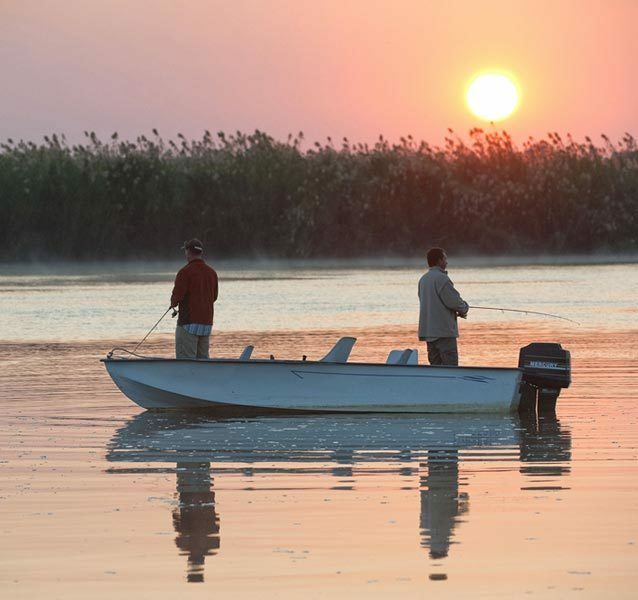 The Okavango is renowned as one of Africa’s top fishing destinations. 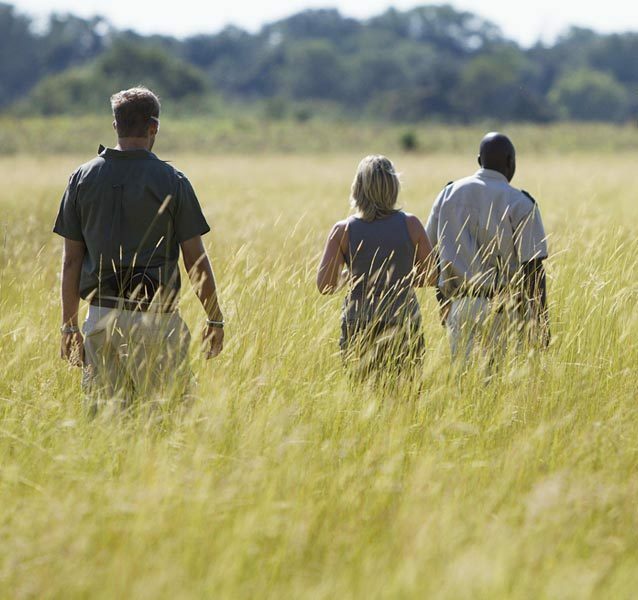 Let nature be your guide as you embark on a walking safari through this water wilderness known as the Okavango Delta. 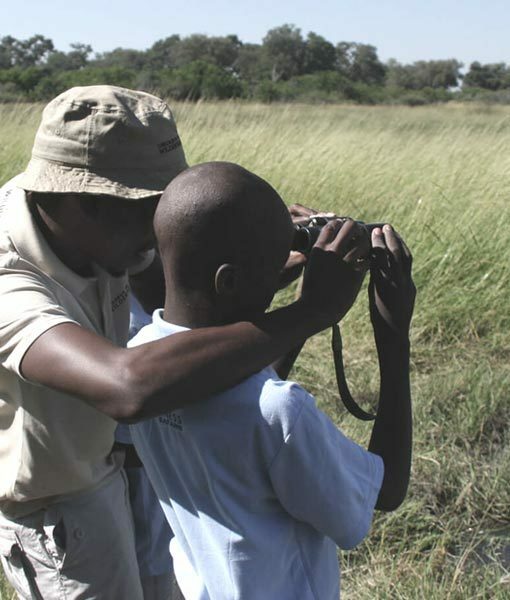 Ecotourism Okavango Delta walking safari. 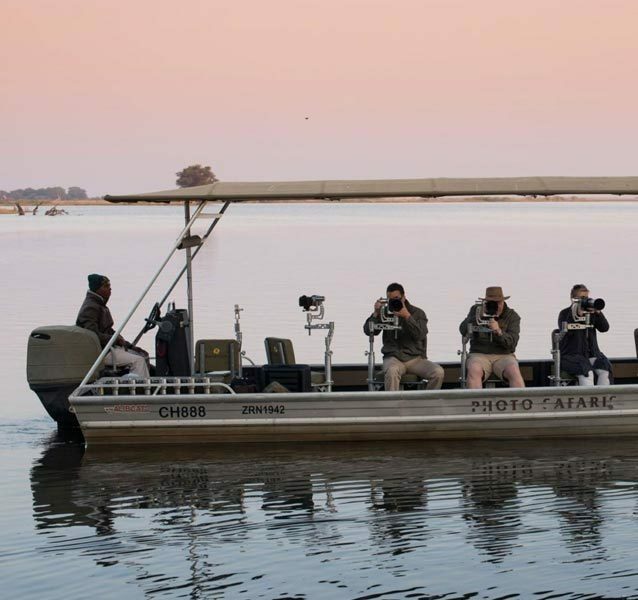 Go in search of the Okavango Delta’s rich wildlife. 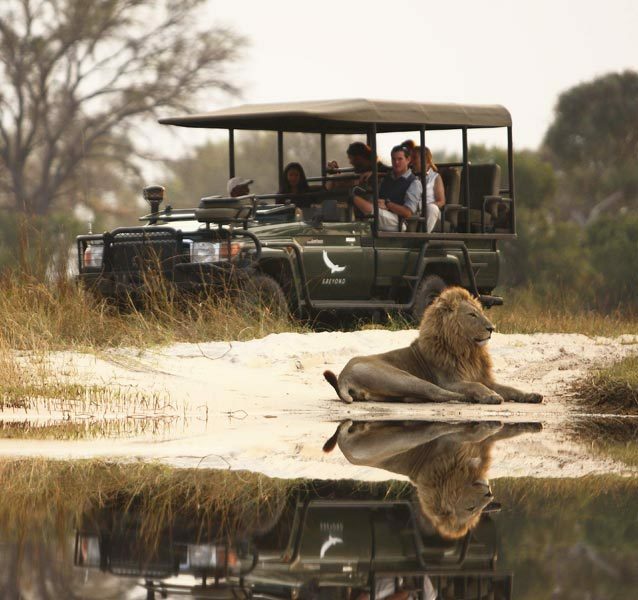 Explore a world of water and wildlife on an Okavango Delta game drive. 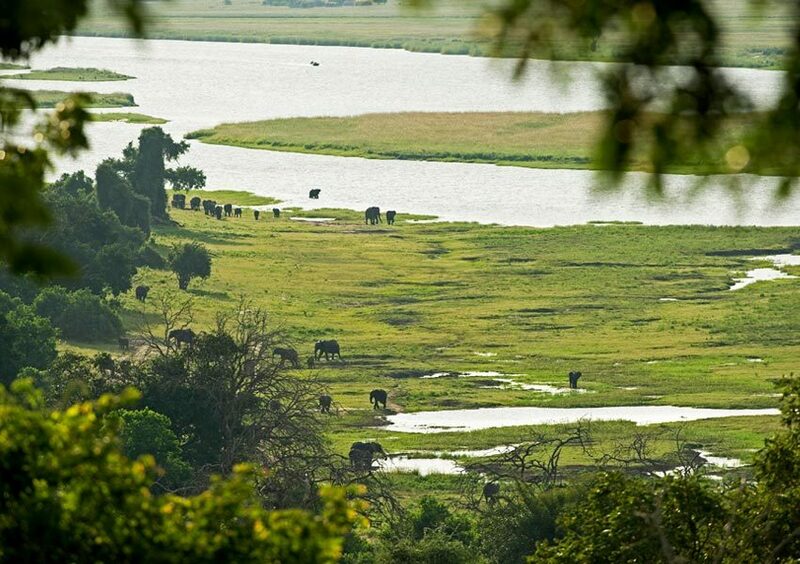 Enjoy Ecotourism in the Delta. 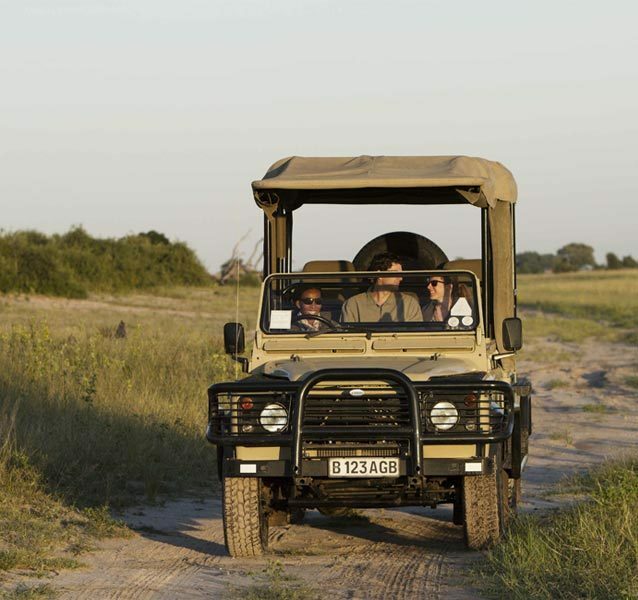 Add Botswana To Your Safari.